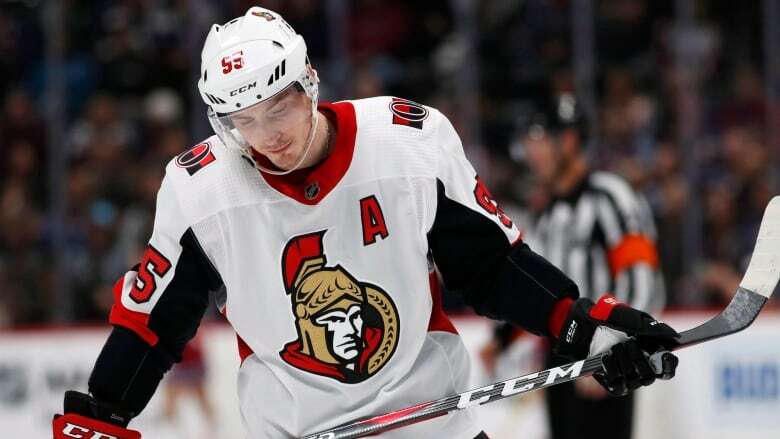 Several Ottawa Senators players were caught on tape joking and trash-talking their team's defence in a video posted online, adding another scandal to an organization that's been riddled with them lately. "We want to apologize publicly to Marty Raymond, our teammates and coaches for our comments in Phoenix, Arizona on October 29," read the statement emailed to The Canadian Press. "Our private conversation was recorded without our knowledge or consent. We're passionate about our team, and focusing on growing together. We are grateful for the support of our fans and organization. This is an important learning experience, and we will do better." The Uber driver is heard asking what team the players play for near the beginning of the video and Wideman, seated in the passenger seat, replies: "Ottawa. If you can tell we're really pleased with our ...." A player seated in the middle row of the vehicle finishes his sentence: "with our PK." Duchene later adds that he "[hasn't] paid attention in three weeks" in Raymond's meetings. "Here's the other thing, too. We don't change anything ever. So why do we even have a meeting?" he says in the clip. Head coach Guy Boucher said in the same statement that the team has "every confidence in Marty Raymond's coaching, in the effort and determination of our team; and in the sincerity of our players' apology." "We are now treating this as a team matter, and will be making no further comment to the media," Boucher added. Uber Canada's general manager Rob Khazzam said on his verified Twitter account on Monday night that "a video released by the media today of several Uber passengers being filmed without their consent while having a private discussion ... is a clear violation of our terms of service."